This Area Manager role covers Lincolnshire and Leicestershire, circa 20 stores. The ideal candidate will be based in Newark locality to allow travel across the geography of the Retail Area. Can you inspire and be inspired? Can you motivate others to deliver great customer service? Are you looking for a chance to shine? We have fantastic opportunities for progression and development and the Freedom to nurture ideas and flair within a Framework of support to develop you whilst you develop and lead a team of up to 25 stores to success. 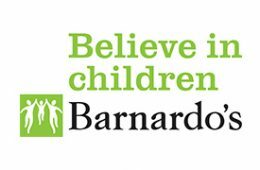 At Barnardo’s, we believe in children, the funds we raise in store support the most vulnerable children and Young People in the UK and now’s your chance to play your part in this vital work. As well as maximising sales and profit in your area, you will take full ownership of the day to day management of your stores, you’ll maximise their income and lead and inspire your team of managers. You will have a sound retail management experience, which will ideally be from a multi-site environment; you will have shown in your experience an ability to achieve budget, revenue, cost and profit targets as well as KPI’s. You will be an outstanding leader who can bring team building and organisational strengths to your team alongside ensuring that the very highest standards of presentation and customer services are upheld throughout your area – your aim will be to make your store’s the best in town, for customers to visit and for your colleagues to work in. In return, you will work for one of the UK’s largest charity retailers with benefits, including full training and development package, promotion prospects, pension and benefits.